For all who have attended the Club's monthly quizzes in the past you will know the most popular round to play the joker (for double points) is the music round. 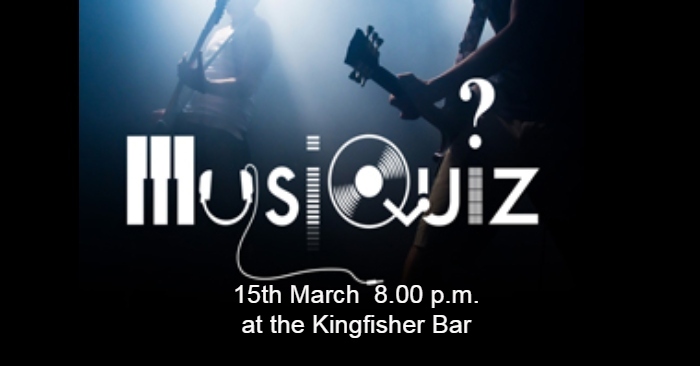 Now for the first time ever Livingston Cricket Club proudly presents a quiz devoted entirely to music questions from the singles charts of the 20th century - no obscure album tracks from bands you've never heard of here. If you were around then, you just need to get the memory working to remember who sang what, maybe when, from music clips and questions culminating in a real bumper final round that will give every team a chance to come out on top.